When you hear those four magical words, "Once upon a time...," you are transported into a story's world. 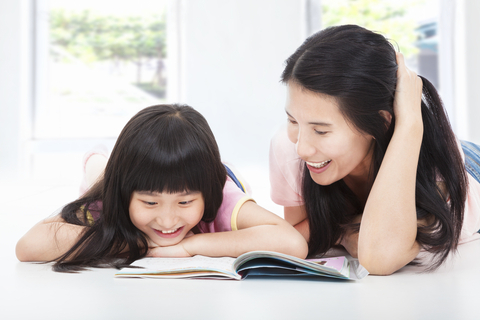 You've probably heard reading to your child is good for language development. One reason listening to a story is good is that it helps him learn the "script" of a story. Listening to stories teaches a child about literary vocabulary - those words and phrases that we don't usually speak, but hear in stories. We don't generally speak phrases like "a land far away" and "happily ever after," but reading helps a child understand their meaning and later use them in narratives. 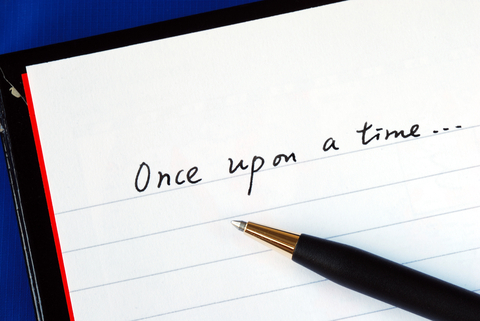 Use a starting phrase: "one day," "long, long ago," or "once upon a time." Tell what the character usually does: everyday he _____. What problem does this create? Now think of a solution to that problem. Use an ending phrase: "the end," "they lived happily ever after," or "he learned his lesson"
We first practice this script with stories that are familiar: Three Little Pigs, Goldilocks and the Three Bears or Little Red Riding Hood. Once they are able to use this format with familiar stories, we move on to creating original stories (narratives). Analyze stories you are familiar with using this format and then create your own story. The next time you read a book (children or adult), analyze the story phrases see what figurative language our students are expected to understand. send him” (although uniforms are not required, they are encouraged). schools, so very few children have the opportunity. What an amazing time we had playing games like Uno and baseball. They had fun looking at photos and videos on my iPad where they found our InferCabulary app. using their visual inference skills to guess, and kept asking for more words. in opening doors to a better life for these children. I know my life was changed by spending time with them. Give a child-friendly definition of reluctant - not sure you want to do something. 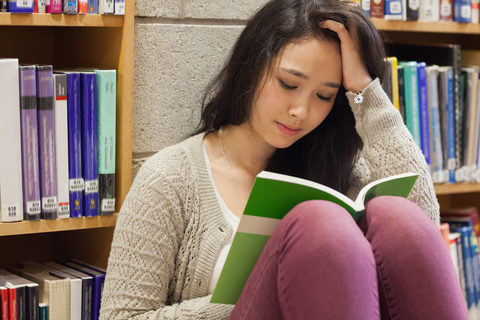 Moving beyond the context of the word into real life examples, helps students construct "a meaningful and memorable representation of the word." Go a step further and use the InferCabulary method by adding pictures to help students understand what reluctant looks like. 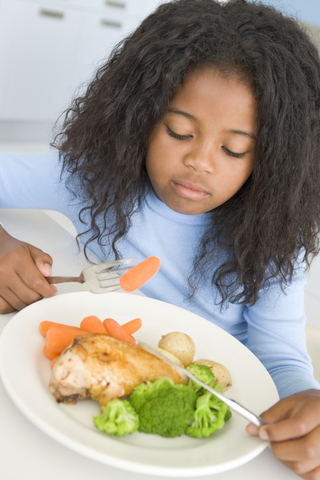 In the picture on the right, the girl is reluctant to eat her vegetables - something all kids can relate to. Taking vocabulary instruction to the next level means taking the word from the everyday mundane classroom exercises and putting into a context that applies to everyday life with examples they will remember - the sillier and funnier, the better! Engaging with your toddler, reading books and talking with them about their world has never been more important. 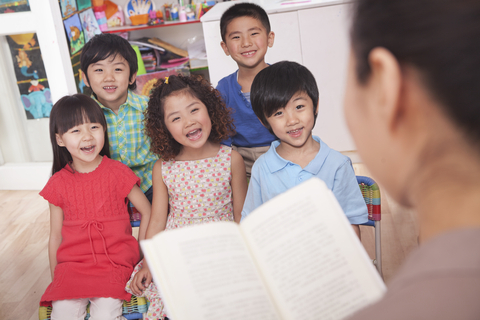 A new study in the journal aptly named Child Development found that children who had good oral vocabularies (what they could express) by age two were better prepared kindergarteners academically and behaviorally than others in their classroom. They noticed gaps in oral vocabulary began emerging as early as two years of age. That means its important for parents and preschool teachers to spend some time engaging with toddlers in activities that will expand the 2-year-olds' vocabularies. So how do we do this? Tanya Christ and X. Christine Wang developed a list in Supporting Preschoolers' Vocabulary Learning based on current research. I've paired examples from The Little Blue Truck, by Alice Schertle. 1. Point and label - direct the child's attention to the word and say the word. This helps the child connect the word and the image. For example, point to the word "road" on the story page and then point to the picture of the road in the book. As you read the story, point to the words related to the animals the little truck sees: a frog, a sheep, etc. Taking care to point to the words and images, so the child can see the relationship between the words and images. 2. Ask questions that require a use of the word - As you read a book with your child or students, ask a comprehension question to see if they use the word thereby creating a memory of the word's sounds. For example, "What does a farmer use to carry hay and supplies from one place to another?" and the answer is "a truck." 3. Ask questions that require using related words to help the child establish a relationship between the vocabulary word and closely related words. You could say, "A truck is a kind of ____ " and vehicle would be the answer. Name some other vehicles that take you from one place to another. What other vehicles would a farmer use? 4. Give short definitions - explain the meaning in a short, child-friendly definition to help promote understanding. The original story begins, "Horn went 'Beep!'. Engine purred. Friendliest sounds you ever heard." Explain that when an engine "purrs," it means the truck is working well. 5. Use extended approaches - provide opportunities for the child to process and use the words in a deeper way. Talk about the animals the little blue truck passed on the road. What other animals could it have seen that aren't in the story? What sounds would they make? What does a ship see as it sails along? ...and on and on. 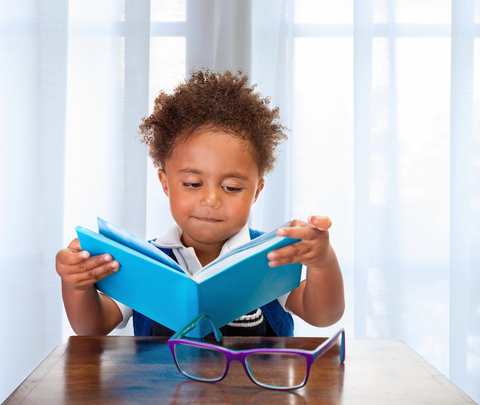 The point is as soon as a child can attend to a book, keep in mind that vocabulary is very important to their successes in kindergarten and beyond. Pay particular attention to children at risk. Their parents are struggling to put food on the table and may not have the time to interact with their young ones which may result in smaller vocabularies. Preschools and HeadStart programs should put vocabulary high on their list. Sometimes authors provide definitions. For example, "The dermatologist, the skin doctor, identified the problem." Sometimes they provide clues about what the word is not. For example, Unlike a bicycle, a moped has a small engine. Other times there are location or setting clues, such as, "the mountaineers reached the summit after a brutal all day climb." Authors sometimes provide a clue when they explain how something happens, like, "She masticated her burger into tiny pieces and swallowed it." There can be hints within the sentence regarding the function of the word. For example, "in order to keep it from fraying, the worker placed an aglet on the end of the shoelace." Finally, an author might provide clues about a word by sharing related words or ideas. For example, At the wake, mourners cried, prayed, and celebrated the life of the deceased.